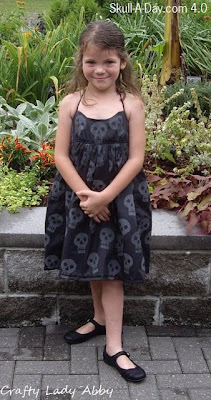 There are a variety of skull print cotton fabrics that I could have bought, but I thought this was the perfect project for Skull-A-Day 4.0. 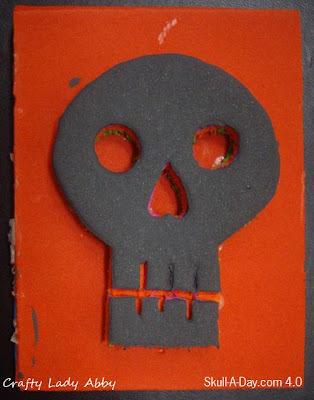 To make the pattern on the black cotton fabric, I decided to use a foam stamp. I could have bought one (if I could have found one in July), but that would be cheating and not very Skull-A-Day project worthy. Instead, I decided to make my own. 1) For this stamp, I used 6 foam sheets. I cut them in half so they were 4" x 3" vs the original 4" x 6". I put the now 12 sheets in 2 stack. On stack was for the base and the other for the stamp (skull). 2) Using Elmer's glue, squirt some on a sheet. Put a sheet on top of that one, making sure the sheets line up. Do this for each sheet. Of course the top and bottoms sides of your glued stacks won't have glue on them. 3) Put a piece of wax paper down on a flat hard surface (sturdy table or hard floor). Set your two stacks down on the wax paper. Leave space between the two stacks, so they don't accidentally stick together. Put another piece of wax paper on top of the stack. Place a heavy flay object (book) on top of the wax paper covered stacks. The book will help keep an even pressure on the stacks while they dry. The wax paper is to prevent the glue from getting on your hard surface or your heavy object. Let dry for a few hours, or overnight. 4) After the stacks are dry, choose 1 for the stamp part. In this case, I made a skull. Use a pencil to draw your design. Keep it simple, because you want it to print well and you also have to cut it out, so simple is best. 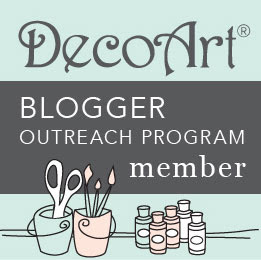 5) Using the xacto knife, carefully cut out your design. For the teeth, I didn't cut through all the layers. I only cut through two layers. I actually had some problems with the glue in that area because I wiggled the foam there a lot. I had to re-glue the bottom row of teeth. 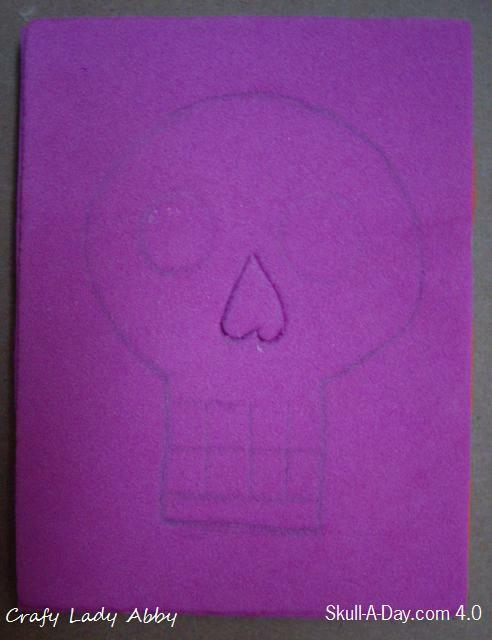 6) Using the glue, apply some to the back of your stamp (skull). Press this onto the middle of your base stack. If glue shows, on the base, don't worry, it won't affect the printing. Make sure the stamp surface is glue free though. Glue showing on the sides also doesn't affect the printing. 7) Use the wax paper and book again to press them together. Let dry for a few hours. Once it's dry, it's ready to use. Stamp carved and with dried paint on it. For this one, I cut the pattern pieces from the fabric 1st, so I could use the plain fabric for another project and also control the print placement once the dress was sewn. Lay the plastic cover (trash bag or drop cloth) out on a large flat surface (floor or table). This will protect your surface from the excess paint that might seep through the fabric when printing. Lay your fabric pieces or fabric panel out on the plastic. 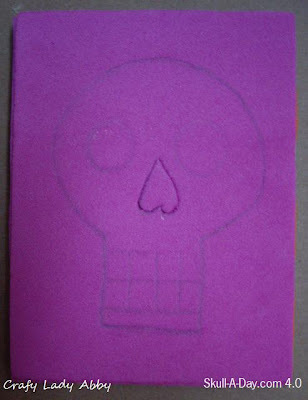 Use the foam brush to apply paint onto the stamp (skull side). Make sure it's an even coat. Carefully put stamp, paint side down on the fabric in the position you want it. Gently push on it. DO NOT ROCK IT OR IT WILL SMUDGE. Pick stamp up off the fabric. Repeat steps 5-7 until fabric is printed the way you want it. Let paint dry on fabric for about 30min to 1 hour. After the paint dried, I proceeded to sew the dress. You can use your fabric as you wish afterwards. If you are using fabric paint, you might have some manufacture's instructions that include ironing. If you do, iron the fabric BEFORE you use it. It's not super hard to make the stamp or cut the fabric, you just want to be patient and allow enough time for drying (glue and paint), careful cutting and printing.